One of the aspects of Filipino culture that I find most endearing is the respect granted to people senior of age. The giving of blessings is most touching. The dedication is so serious that Philippine family law mandates that children take care of their parents. This is different than in America, which is a place where, as we slam the door behind us to embark on our own path, we consider that our parents can wend their way on theirs without our assistance. Oh, yes, many Americans do take care of their parents as they get older. But the attitude of “you’re independent” works both for the youngster leaving the nest, and the old folks inhabiting the empty nest, free at last. In the Philippines, one of the benefits as one climbs higher up on the age pole is that one does not have to grant respect to so many people. But one receives a lot of it. Given that adoration of seniors, I think Vice President Binay is feeling let down for the lack of respect coming his way by the Senate Blue Ribbon Subcommittee, some whistle-blowers and a lot of the general public. Before we get to that, and while we are considering cultural nuances, I’d offer up that it seems to we westerners that sometimes Filipinos are insane, totally detached from rational thought, when they grant consideration to the corrupt because they are old. This diagnosis of insanity is strictly my opinion. It is not a confirmed fact written up by psychologists for Shrink Digest. You are free to straighten me out if my observations are off base. geezer (noun): In the U.S.: An old man, particularly one who is either cranky or eccentric. Rather derogatory term. Although masculine by definition, I apply it to women as well, in the context of this article. I suppose “frump” would be the female term, but I’m confident you can get the idea if I just use “geezer”. In my opinion, Filipinos are insane when they elect a corrupt plunderer as Mayor of Manila, excusing his transgressions because of age or reasons I am strained to comprehend. Or put a beyond-eccentric elderly wife of a murderous dictator into a legislative seat where she can comfortably rest her shoes and angle greedily for her son to return the family to power. Or elect an ancient former dictator’s strong man, and a coup-master, and a man now cooling his heels in a hospital jail, to the senate long past the time when he could string together a sentence intelligibly and within a 10 minute time frame. It is also seems insane – to me – to elect a 74 year-old man to the presidency. A guy who will be 80 at the end of his term . . . if he is still alive, or still lucid, or can manage to hobble his way to the office. The presidency is a demanding job. It ages people fast. Both President Aquino and President Obama were young men when they entered the office and now they are showing a lot of creak and strain, tear and wear. I mean, think about it. A natural disaster happens when it happens, sometimes even during afternoon snooze time for old geezers. And it may not let up for 24 hours. Or take the invasion of Zamboanga. That went on for days, intense, deadly. In cases like that, presidents can’t just amble away on the walker to get some hot chocolate and a graham cracker from the housekeeper while madmen murder innocent civilians. Or take China. We don’t want some old geezer selling the Philippines down the river to China simply because it is easy and he does not have the energy to get the military cracking as its Commander in Chief. Or because China offers to sneak a couple of billion into his campaign coffers to buy off every vote in the legislature from now until the cows come home for the very last time. Or take international trips like that just completed by President Aquino. We don’t want the front face of the Philippines to be a doddering old relic who has to keep running to the bathroom and who snoozes off during diplomatic dinners. A guy who can do one meeting with a head of state and then has to lie down for four hours to recuperate. Being president requires alertness in cabinet meetings, a clear head to read things quickly and well, an active, engaged involvement with young, bright staffers. Aggressive “doers” would go nuts under an ancient guy like Enrile who stared off into space every other word searching for enlightenment. What kind of executive energy do we want from our president? Do we expect Pacquiao to be boxing when he is 74? As I just report on events, no harm no foul, I’m sorry to say that we are already seeing symptoms of . . . um, unusual decision trees . . .creeping into Mr. Binay’s thinking. Like when he goes outside the channels of communication to try to strike a peace deal with the chief kidnapper in Zamboanga. A classmate, an outlaw named Masuari. Or when he comes down hard on security guards merely doing their job in favor of coddling his privileged son. Or when a guy looks old in his Wiki records but deceptively young in today’s campaign photos. It’s natural to wonder what he is paying the photo-shop clerks, and what other deceits we are witness to. Or when he declares a wholly mediocre garage and office building to be “world class” and a “green building”, and claims with straight face that spending 2.2 billion pesos saved the City money. Or when the entire nation wants him to explain a bag-man’s allegation and he instead whips out a campaign speech that accuses government of being against the poor and only he can save them. What is that? A savior complex? Now I have nothing against Mr. Binay personally. I suspect he is a great family man, probably laughs a lot, and is a pal to his pals. He’s come a long way in life if we don’t peek too hard at how he managed that. He is very skilled at being ambitious. I credit him with results, for sure. But face it, sports fans, his desire for the presidency is just a hair’s breadth south of Ripley’s world record for political obsessions. I’m sorry, but as one old geezer talking about another. I have a real problem with his age. I have a problem with a young, vibrant nation like the Philippines being run by an old codger with values hammered into place when favor and power were currencies more potent than the peso. I have a problem with going back in time, rather than forward. I have a hard time with putting into office a guy who may not stand up to the demands of the biggest job in the land without cracking. When a president cracks and puts himself – or herself – above the nation, it is not pretty. Marcos cracked. He could not be stopped. Arroyo cracked. She was stopped. But this age problem is not only about Mr. Binay. It’s about every other ancient relic hanging on past his prime. It is about calcification of government processes. I also put poor health in the same category as age as potentially debilitating for a president, and will write further to this point in a separate article. The short uptake is I believe Senator Santiago ought not run for president. But for this article, age is the issue. Just as there are age limits at the bottom that prevent young, presumably unqualified people from being president (Bam Aquino cannot run for president in 2016; he’s a year too young), there are also pragmatic, important reasons to excuse old public servants from further service when they reach 65, or a similar age limit. An age limit improves the likelihood of getting top-quality performance by employing healthy, vigorous people who are driving to advance. Retirement also allows people beneath the position each to advance one slot and we get fresh thinking up and down the line. And way down the line, at the bottom, an unemployed person gets a job. Why, for the sake of respect for old people, do we hold the youth of the Philippines – its flexibility and vision and drive to succeed – back? You know, age is real. It cannot be wished away. Man’s span on earth is finite. It just seems to me that old people should spend their final years being wise. Or anywhere else plugging up the pipeline of opportunity and youthful vigor for the Philippines. It’s not only because Jojo Binay is old that he should not be elected the next president. It’s because his history of corruption precedes him. There have been too much talk on how he enriched himself while in office that it is stupid to think that the accusations are merely political in nature. People who knew him before he became mayor knew him to be a man of modest means–a far cry from the P60 Million he declared in his SALN of 2013, No way could he have accumulated legitimately millions with his salary as a mayor for 20 years-not even his wife’s so-called flower shop could do that. Makati businessmen, though afraid to come out for fear of reprisal from the City of Makati, have spoken in private on how Jojo Binay demanded a condominium unit whenever a condominium was built in Makati. There have been too much talk about Jojo Binay’s corruption that one cannot brush them aside. I hope the Filipino people see Jojo Binay for what he is–undeserving of the position of president. He doesn’t even deserve to be a vice-president. Important point. I am arguing that, even if he were not corrupt, he would not be what the Philippines needs in leadership. It needs change, and vigor. The president’s job is huge, and hugely demanding. Go strong, not vulnerable or weak . . . or even risky . . . for whatever reason. TUMPAK! What is insane to westerners may be “respect” to Filipinos which has religious roots as well as corruption. That is why Ate Glo is luxuriously languishing in jail because she have enough years to serve her sins. Benigno is looked at as immature because he is young. Filipinos reason for being is not to get rich but the ultimate, HEAVEN. Filipinos believe that the “path to heaven is not paved with gold but strewn with thorns”. This “suffering” is looked at as blessing for eventually ride to HEAVEN. Filipinos are in need of second,maybe, third christian reformation. Actually, that respect for the elderly does take some getting used to for we cold Americans. It is adoration, rather sweet in most circumstances. It is interesting to see how it devolves into bitter cat fights when the parents die without leaving a will and it is left to the children to try to divide up the estate. I like that one quote: “path to heaven is not paved with gold but strewn with thorns”. It flies in the face of corruption, but indeed confirms how nonsensical and thorny and dysfunctional some thinking seems to be. 59 should be the cut-off age since 65 is compulsary retirement age for government employees. Yes. Good arithmetic. 🙂 That is indeed what it should be. It is maddening to read about Nancy Binay pushing for a bill legalizing hospital and house arrests especially for the elderly and infirmed lawbreakers. JPE, GMA, and others who are suppose to be paying their dues for the crimes they committed (allegedly) are getting special treatments in form of hospital arrest because they are old and fragile. Even Gigi bashed her head on the wall so she can get a hospital stay. The SOP in Philippines’ politics seems to be: Enrich oneself in corrupt ways while you are young, enjoy it until someone finally lodge a case against you, do not worry about being convicted in your lifetime because the justice system is slowwwww, disclose all your ailments for a hospital arrest, delay proceedings by appealing everything, stick it to the taxpayers by making them pay for your geriatric medical bills because they are so brazen as to incarcerate you. Yes, there should be a firm retirement age for government officials. I think 60 should be the mandatory retirement age for all public servants. I’d go with 65, as MB indicates. A candidate for president would have to be 59 or younger. Pushing that back to 54 seems too early. Nancy is mainly concerned that her father will end up in jail, perhaps. And does not want to see him in a jail jail. I tend not to think of her as graciously kind, but expeditiously kind. She’s been rather quiet of late. True indeed, when one is 60+, the visions become blurred, how much more if one turns 65+ and wanted to run as President? Well, it is unhealthy for anyone to pressure oneself in a very stressful work as President. The maximum age for President should be at 60years in which the metabolic age is about 40years. Any Presidential aspirant should pass not only the psychological exam but also they should pass the physical exam determining their body fat and metabolic age. I am 57 years old yet my metabolic age is only 39years old, my total weight is 66kgs, visceral fat is 13kgs, the difference 53kgs are water, muscles and bone mass. The nutritionist says, the visceral can be lowered down via exercise and krill oil and the muscle can be increased by adding protein. My point is, the candidate should have spent at least an hour of 24hour life cycle in burning calories. This discipline action will reflect to the overall personalities of a person specially a Presidential candidate. I believed the ballot counting by machine is the only way to prevent cheating. There is no way, a hacker can penetrate a well established program for ballot counting. The Finger print of a voter is scanned and save to memory and the ballot is marked with same finger print of a voter. The computer read the stored finger print and compare with the finger print on the ballot. If there is a difference, that particular ballot will not be counted. This is the response to why the Filipinos vote for corrupt or old candidates. The fact was they cheated, they were not legally voted. Gadzooks, Mac. You are making me feel positively flabby and outrageously lazy. I used to be an athlete and now I’m a slug. Maybe I should invest in one of those P5,000 portable saunas I saw advertised on the telly yesterday. Sweat it off whilst watching senate hearings. I like your election solution. Apply modern technology to eliminate cheating. Mariano is an acquired taste, rather like anchovies or goose liver. I’m a fan. He’s here then gone . . . then back. Mysterious. I think the word old is cruel if not condescending. I suggest trying too hard to reach decrepitude. We could not blame the man. He could have made a bucket list with Estrada and Enrile (like the one that Jack Nicholson and Morgan Freeman did in that movie with the same title) to show to the whole country that the three of them had what it takes to stay long in power (even in bed with a beautiful woman) us ordinary mortals could only hope for and dream of so they could be living models for the youth to emulate – although not recommendable because they are bad models. As for me, age does not matter. I wrote in one of my comments here that the beloved president of Uruguay is 77 years old. The problem with us here is those old geezers had already forgotten that old dictum about being in government – that public office is public trust – that that trust does not mean enriching themselves while in office and perpetuating even their families in power. Yes, there are cases when age does not matter much. And in courtrooms, the wisdom of many years is helpful. But I look at decisions as a compilation of risks. Risk that a president will not finish a term, and a lengthy period of illness would cause things to stagnate. Or we’d go from a capable president to an incapable vice president. Also old dogs do struggle with new tricks, and the Philippines needs a whole lot of new tricks, it seems to me. If the nation were stable with a lengthier track record of administrative capability, then I’d be more comforted with an older president. And, frankly, my attitude is shaded by the people I meet in government offices, sluggish, no pleasantries, going no where, looking at their work as a chore. The age limit is just one component of trying to build opportunity and ambition and productivity into the government work stream. There should be other measures as well, anti-dynasty and anti-nepotism laws, and a fundamental requirement that the only criterion for hiring and promotion is capability or proven result. Somehow more energy and more solutions need to get built into government processes. The top man, or woman, sets the tone for the nation. 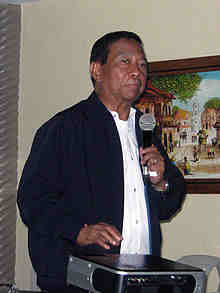 Binay, when he becomes president – considering his age, would no longer be as astute as he should be, no longer open to new and innovative changes and no longer a stalwart of dynamic and gigantic solutions for our economic and social ills, with his warped mind stuck in the old methodologies of crystallizing the ladder of goals. We need new crop of bright young politicians who have fresh minds, new ways and new visions on how best to solve the economic and social ills of the country. They should be equipped with high moral compass. With Binay, if ever elected as president – in the later years of his term, the Philippines would be in the land of oblivion. On this coming Friday, I am going on Jesus Divine Mercy pilgrimage to Poland, Lithuania and Germany. I will include you all and CPMers in my prayers. That’s kind of you, letlet. And you have stated the case nicely. I read that the young mayor of Makati will not attend the BRC’s hearing on October 2, again, even after a second subpoena. He is still questioning the Senate’s jurisdiction over the corruption allegations and he will only take the answer from Guingona according to his lawyer. I would like to hear Cayetano, Trillanes, and Pimentel talk about proposed bill(s) to “aid legislation” culled from the previous carpark hearings in order to dispel the rumor that their hearings are in aid of Binay demolition. The lifting of the Bank Secrecy legislation for public officials should be at the forefront. The timely review of LGU’s accountability and some teeth for COA to fine and/or punish an offending party will be good. A legislation that gives the Senate a “clear cut and unquestionable” jurisdiction over preliminary hearings of any public official’s wrongdoing will also be needed. 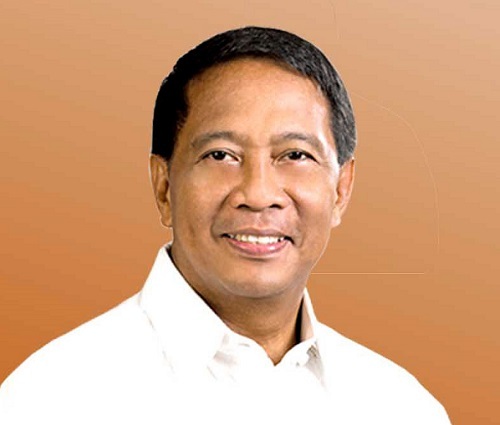 What can be done so the elder Binay will answer the allegations before 2016? Oh, no! Not another “no questions from public and press” press conference! If Guingona were to undercut the subcommittee I think that would do great damage to the Senate. I agree that it would be wise for the subcommittee to emphasize the legislation they are contemplating, and Bank Secrecy could be one aspect of it. Though I never here it mentioned by any legislators. Without question, Binay is into duck and cover, delay and obfuscate. But I think it only makes the social media mavens angrier. Push vs. shove, for sure. I once complained about the corporate situation here, where twenty and thirty somethings *ahem* are being governed by sixty somethings, who are- no disrespect to them but lets get real-out of touch with reality and with very outdated views of themselves and of the rest of the world. They insist on transforming the office into something more dynamic, become more global, but how can that happen when those who hold the reigns are these dinosaurs with conservative views, the same ones who insist women make tea for men or that workers play golf with the clients on their days off. No wonder there is no new innovation here anymore!Everyone’s afraid to piss off the old man on the throne. They are at the starting line, looking at the other players for ideas, waiting for other companies to make a move they can copy.Meanwhile, over there, I keep hearing younger politicians refer to older ones, using the word ‘moral ascendancy’ in the same breath,which to be honest, sounds like a blasphemy! Ahahaha, yes, moral ascendancy of the calcified, a blasphemy. Japan respect for the elderly is like the Philippines on steroids, I think. There are some youngsters poking around here (Bam Aquino, my favorite), and they are downright refreshing for their rationality.